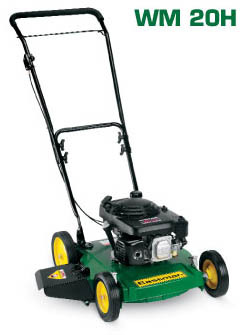 A light, rugged no frills commercial duty mower. It has a powerful Honda engine and a alloy aluminium deck for an outstanding power to weight ratio. The deep deck with a wide side discharge disposes tall grass, wet clippings, leaves and pin needles with ease leaving a clean manicured lawn.